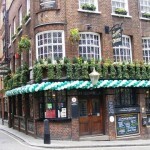 Covent Garden has some of the best pubs and bars in London, right in the heart of the city. 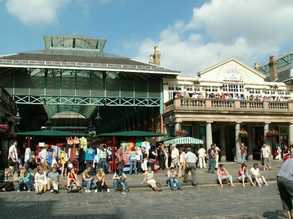 Covent Garden has restaurants, pubs, shops, theatre, the Royal Opera House and a seeimgly limitless supply of mime artists and street performers making it the entertainment hub of London. 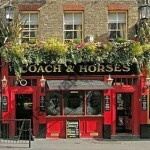 If you're looking for the best pubs or bars in Covent Garden then you've come to the right place. We've got listings for every pub in the area, and with more and more becoming fully registered members every day there's more and more that you can find out about what's going on and who's who. 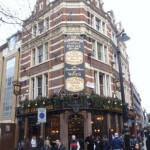 Whatever you're looking for UseYourLocal is a great place to start your search for great pubs and brilliant way of finding the best bars in London. Hiding around the corner from Covent Garden Market, Zsofia and the team are here to make all your cocktail dreams come true! Whether that’s after a show or you just fancy a cocktail, come on in! You will find The Bear and Staff in Leicester Square London within a short stroll of Leicester Square Tube, Charing Cross Road and Trafalgar Square - however you won't find another like it. 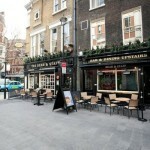 Bloomsbury Tavern in Camden has a beer garden. The pub has a car park, it serves real ale. 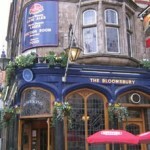 Bloomsbury Tavern has free WiFi. The pub is a member of Cask Marque. 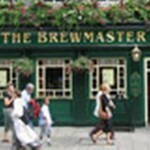 Brewmaster in Westminster has a beer garden. The pub serves food, it has an outside area. Brewmaster serves real ale. The pub has free WiFi, it is a member of Cask Marque. 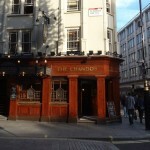 You will find The Cambridge in Cambridge Circus London within a short stroll of Charing Cross Road, Shaftesbury Avenue and Soho - however you won't find another like it. 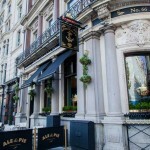 Cheshire Cheese in Westminster gives a warm welcome to dogs and their owners. The pub is a family friendly pub, it serves food. Cheshire Cheese serves real ale. The pub has a dart board, it is a member of Cask Marque. 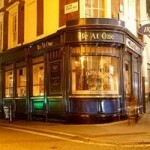 A typical Victorian pub experience in a narrow-fronted local hidden behind flowering baskets.